A few weeks ago, I was introduced by a friend to a small, homemade children’s clothing brand called Polly Pony, run by Amee. Amee operates out of Facebook and Instagram and has a focus on bold, interesting prints. After swooning over her prints and designs on Instagram, I was thrilled when Amy asked me (or rather Little M!) to be a brand rep for her. Having dressed Little M in mainly conservative prints and block colour so far, I was a little bit nervous as to what Amee was going to send us. I needn’t have worried. Her designs are absolutely gorgeous and the surprise package that arrived in the post for us had me giddy for the whole day! 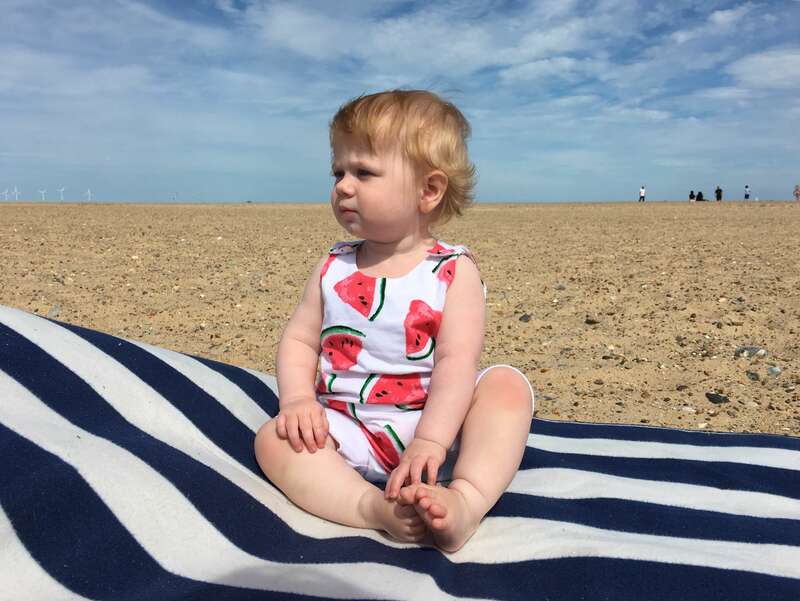 I couldn’t wait to get outside and take photos of Little M looking super cute in her watermelon romper. Unfortunately, the heavens opened and we were subjected to a torrential thunderstorm. Undeterred, we brought the sunshine inside and Little M and I played with her Grimm’s rainbow! 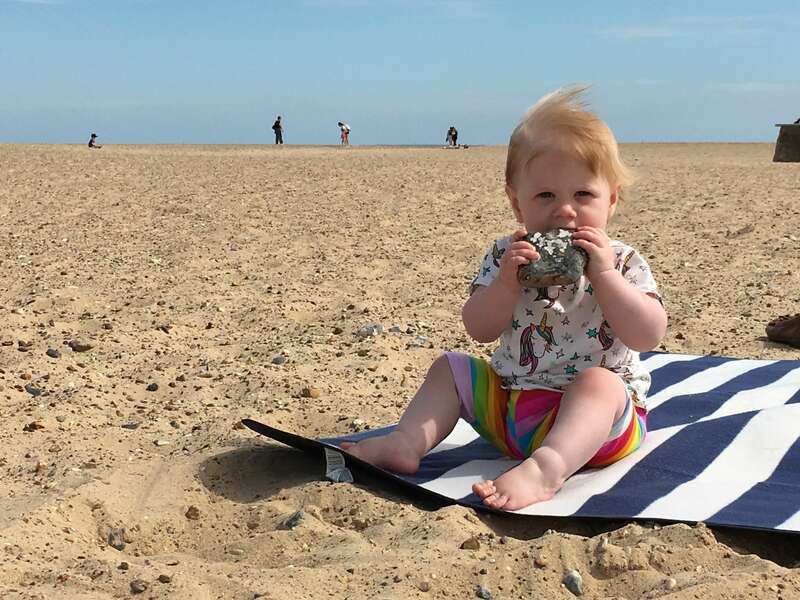 Fortunately, the sunshine returned at the weekend so we popped to the coast for a visit to the Sea Life Centre at Great Yarmouth (review coming soon, promise!). Little M just loved looking at the penguins. 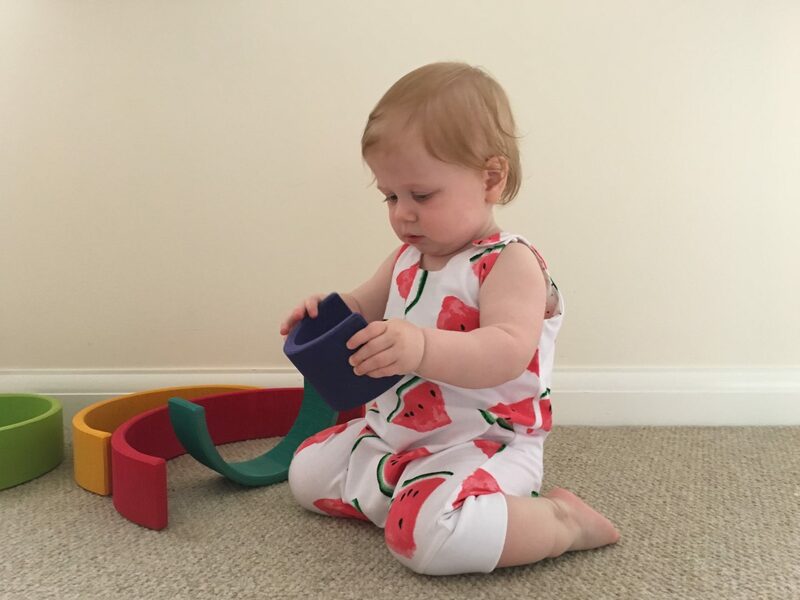 So many things have really struck me about this watermelon romper. Firstly, is how well made it is. It doesn’t look homemade in the slightest. Secondly, Amee adds such gorgeous details to her designs. The romper poppers at the shoulder, but rather than simply having a (perfectly adequate) round popper, Amee has added little stars to the shoulder. The material is also super soft, so Little M was clearly very comfortable wearing it. The only slight downside is that there are no poppers a the crotch, which means you have to remove the whole thing for a nappy change. It’s not a big deal though, and I think it looks nicer without them. 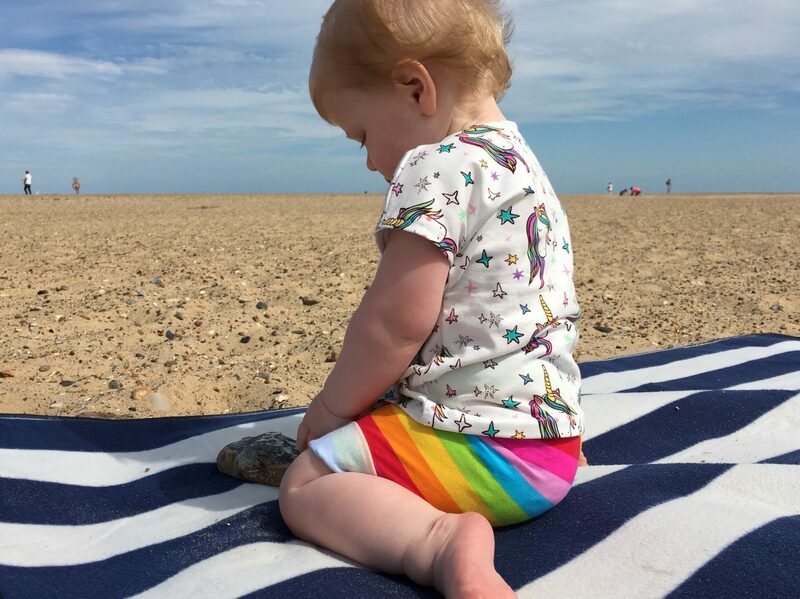 Once we hit the beach, it was a little breezy, so for a little more coverage I changed Little M into the other outfit that Polly Pony had sent; this wonderful unicorn tee and rainbow stripe shorts. This tee is just so cool – it’s not something I’d choose myself in a shop but I’m clearly choosing the wrong things, as it looks fabulous on Little M! I love how the rainbow shorts complement and contrast, too. Very cool! What you can’t see in these photos is the fine detail that Amee has put into Polly Pony’s clothing – this tee has the most interesting stitching I’ve seen on a piece of children’s wear. It’s just another detail that shows the love and care that Amee has put into her designs. Another thing that impressed me about Polly Pony was the sizing. I was a little worried when I looked at the romper as it was labelled 18-24 months. Now, Little M would normally be swamped by an outfit that size. But Amee knows her stuff, and acknowledges that some pre-made items come up small. As you can see, all of the clothes fit Little M beautifully. Because Amee takes all of Polly Pony’s orders via private message on either Facebook or Instagram, she can get an idea of the size required and will make her clothes appropriately. Perfect! Disclosure: I was sent these clothes free of charge, in order to provide this honest review. 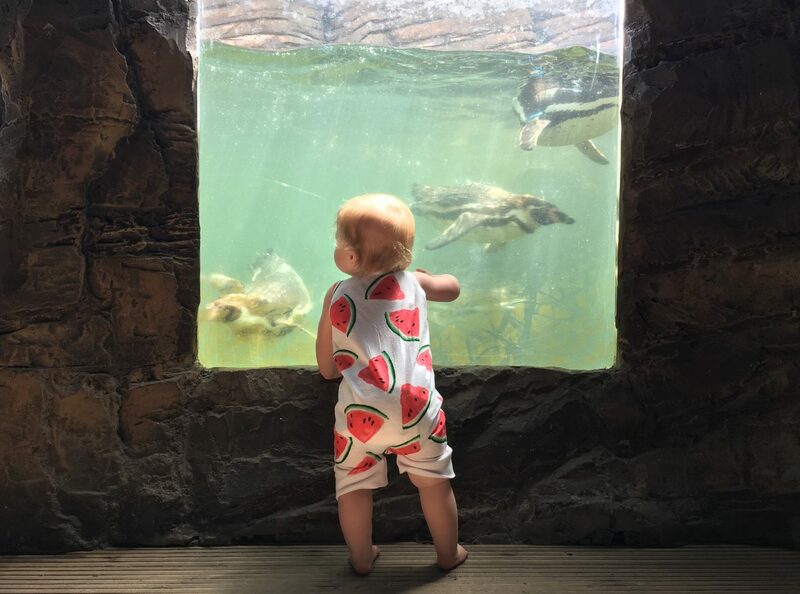 "Our Trip to Sea Life, Great Yarmouth"